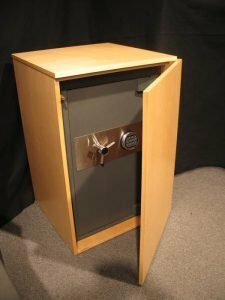 The Avenue Safes are designed to provide exceptional burglary protection in a safe that is convenient in size for placement in apartments, sky-rise residential buildings, condominiums, townhouses, brownstones, and homes. 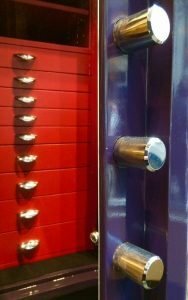 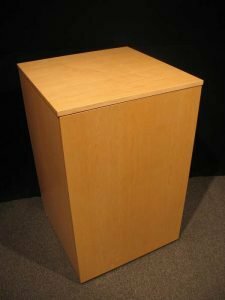 The Avenue Safes were initially designed and crafted for our clients that own or, rent property in New York City. 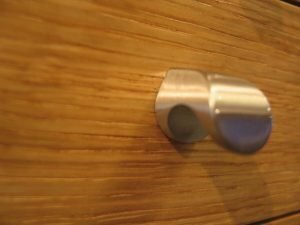 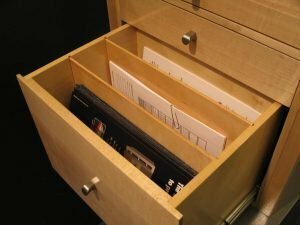 It is well known that every square foot inside a New York City apartment is valuable and, can be limited at times so it was important for us to create the strongest possible high security home safe that can defeat a burglar’s attack while still being streamline and compact in design to fit into all types of closets, alcoves, bedrooms, and custom millwork. 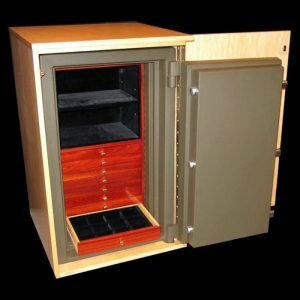 We can work closely with your interior designer, architect, contractor, or millworker if you would like as we do quite often on safe installation projects for homes. 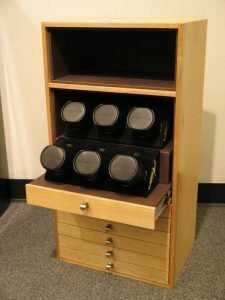 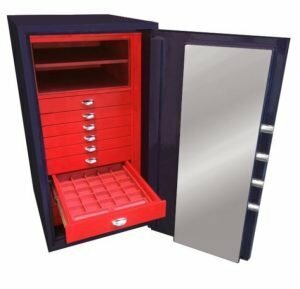 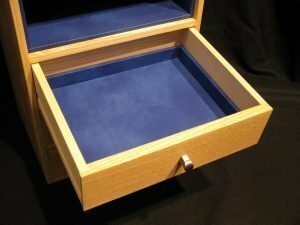 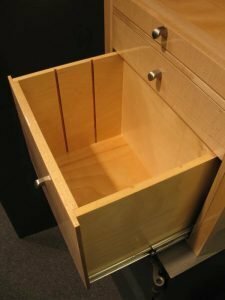 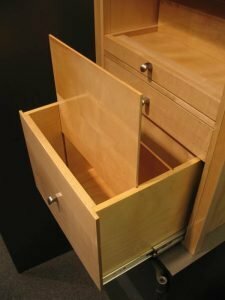 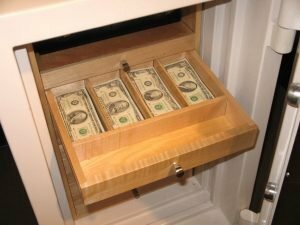 The Avenue Safes can be outfitted with convenient, pull-out wooden drawers that gorgeously accent the safe’s interior and can be lined with luxurious, high quality jewelry trays that will keep you organized for years of comfort and security. 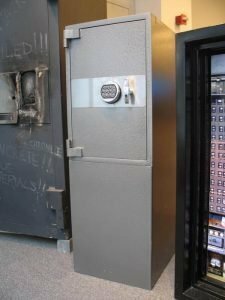 Every Avenue Safe is built with thick, solid steel completely throughout its body and door. 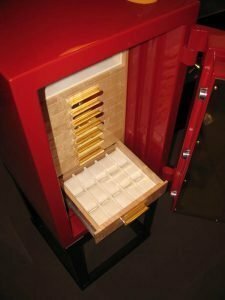 The door is an impressive one inch thick of steel and, the body is 1/2″ all around. 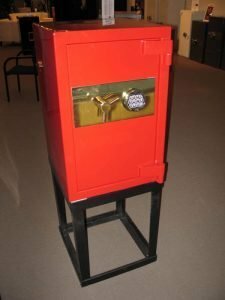 An Avenue safe is armed with a high security electronic lock that is user friendly and provides full control to program it yourself. 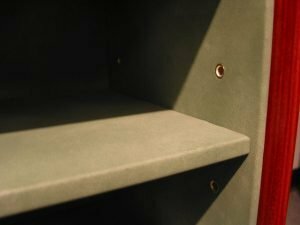 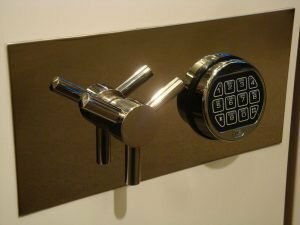 Opening your Avenue Safe is as quick and easy as entering your private six digit code, turning the chrome turn handle and, pulling the safe door open. 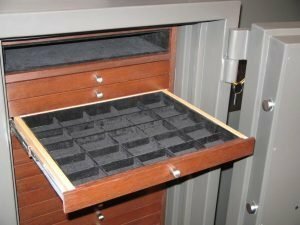 When you shut the safe door the safe automatically locks so you’ll never have to worry about not locking the safe as long as you shut the door.